Shona Ellis is the lucky lady that was guided to this masterpiece of a flower in Thailand’s Khao Sok National Park in December 2007. Thank you, Shona, for contributing this beautifully disgusting photo! Pee eeuuhh! 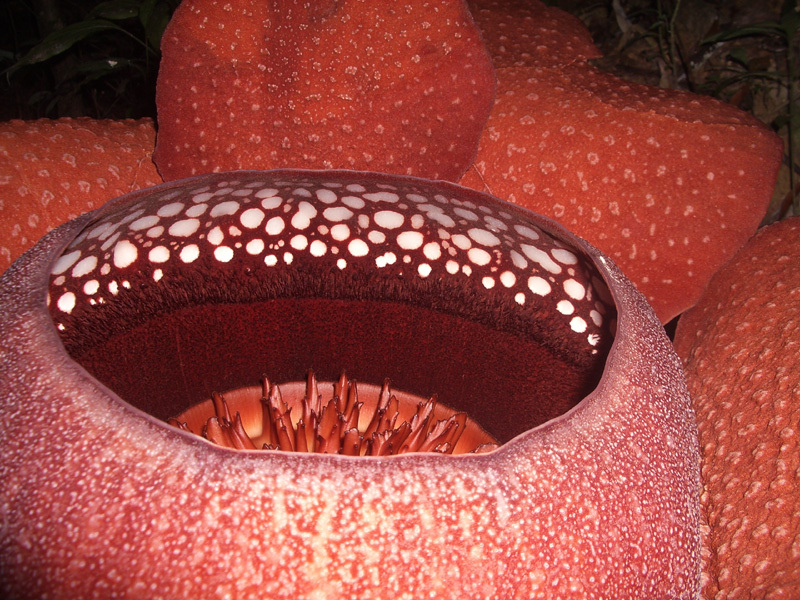 A parasite of Terastigma vines in southeast Asia, the genus Rafflesia is a very strange one indeed. This angiosperm has no leaves, roots or stems. It is completely dependent on its vine host as its hyphae-esque threads invade the vine’s woody tissues. Of the 16 known species of Rafflesia, the most famous is Rafflesia arnoldii, gaining recognition for having the largest flower on Earth (approx. 1 meter or 3 feet in diameter). As an aside, recognition for the largest inflorescence in the world goes to Amorphophallus titanum, commonly known as the corpse plant or titan arum. 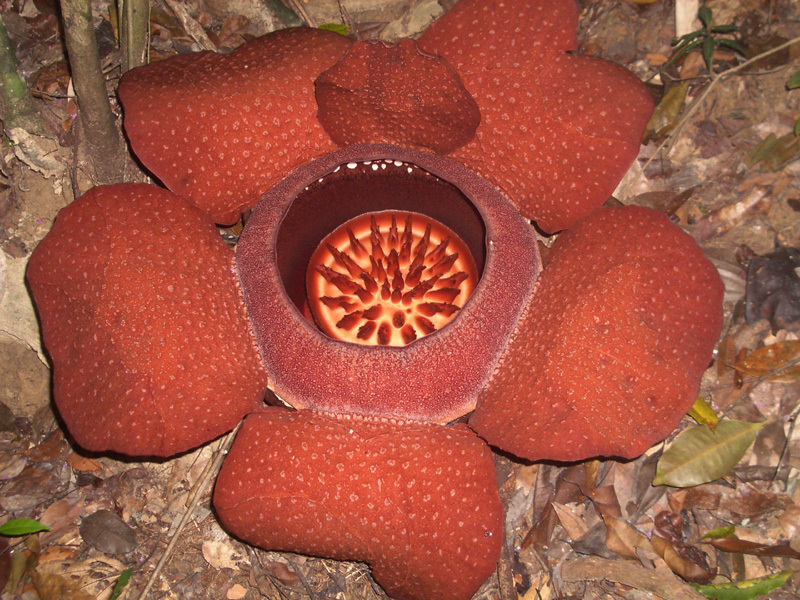 Plants of this species of Rafflesia are only visible when in bud and flower. The bud starts out as a brown bract-encased ball and, over the course of a year, matures to a cabbage-looking mass that then opens up to display its huge, fleshy, 5-merous flower. The thick brown bracts are visible in one of the pictures provided above. 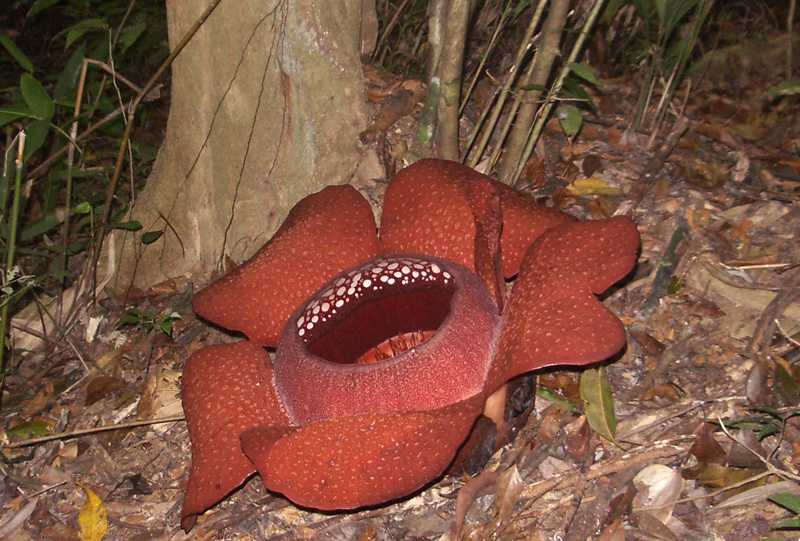 Blowflies are observed to be the target pollinators of Rafflesia kerrii, and for this reason a very special cologne is brewed up and worn by the flower. The gag-inducing scent of rotting flesh is excreted for the week that this flower lives. The smell has been compared to that of a rotting buffalo carcass. I think this would make a perfect Halloween costume, although you might be spending it alone…BOO! Wikipedia has more on Rafflesia kerrii. Daniel adds: For those of you who interested in the Schizophyllum commune entry from a couple days ago, do check out amadej@UBC BG Forum’s images submitted in response to the entry for more spookiness: Schizophyllum commune. Beautiful. I need to see one in nature sometime. I love plants like this. The posts here never cease to amaze me. Such a beautiful world, so many wonders. grate! i feel so calefaction from this hot red flower ! i ‘ve been just know that must be flower with leaf together, its nature principle ! Pronunciation? I can find ră-flē’zhə and raf-FELZ-ee-uh. It supposed to have been named for Sir Thomas Stamford Bingley Raffles, 19th century zoologist and founder of the British colony at Singapore, so the second pronunciation would seem more reasonable, but there are more internet references that give the first suggestion. Thanks for the pictures. They bring back fond memories. I have not seen R. kerrii but have seen R. arnoldii. The floral buds had been collected for ages as they are reputed to have medical value. That together with the destruction of the natural habitat and fauna are causing the demise of the world most efficient parasitic plant that also produces the world’s largest flower. Available at The Little Shop of Horrors? Yes, big hand to Shona for tolerating the smell long enough to take all those photos!! There is a very similar plant that is growing at the Huntington Gardens in San Marino, California. It flowers every several years. The flower is huge but grows upright then opens. It has the same smell and last time I heard of it flowering (it was in the news), I went to see and smell it. It did have flies buzzing around and it did smell like rotting meat. I have a confession to make. The flower had just opened and it actually didn’t smell bad at all……what a disappointment! 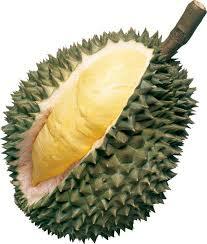 if this big flower have rotting meat smell let me remeber Durio ! it just like beautiful mushroom keeping poison.but so fantastic ! I find it highly amusing and biologically intriguing that BOTH the largest flower and the largest inflorescence on Earth attract their pollinators with the scent of rotting flesh…??? can the flower get any bigger and if it can how bigger and where is the stem????? and hopefully not *right* before I die! I also find this rather beautiful, in a slightly intimidating way.